eBook PDF (94 Pages, 1.9 MB), Kindle, etc. 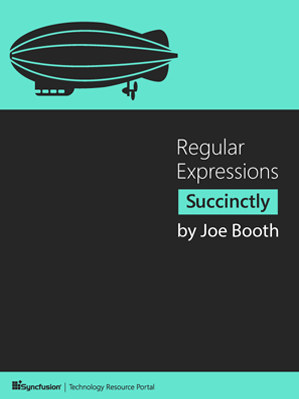 In Regular Expressions Succinctly, author Joe Booth teaches Visual Studio developers how regular expressions can help solve basic programming problems. By introducing patterns and rules to your C# strings, you can eliminate the need to write your own complex code for text manipulation. You'll learn to search for numbers, characters, symbols, and more, as well as enable your code to identify and reproduce patterns. Steps for creating and testing your own regular expressions are also included.